“I’m getting banned, dude,” Twitch streamer Destiny laughed to his viewers last night while running over Battlegrounds players with a jeep. Vehicular manslaughter is something the game actually encourages, but although it didn’t look like it, a lot of those players were actually inside houses. Destiny was apparently taking advantage of a glitch, and in the process, stole a half dozen kills. 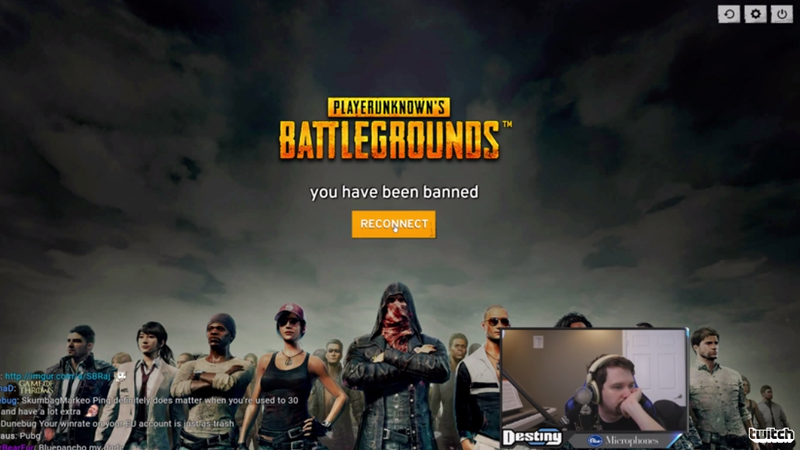 After foretelling it, Destiny was, in fact, promptly banned from Battlegrounds. It seemed he was brazenly using exploit where houses didn’t load in his game to get the best of his opponents, who he could just see and run through with his car. On stream, as Battlegrounds’ “You have been banned” message flashed, he didn’t seem surprised. His fans certainly did. Destiny didn’t seem to go out of his way to break the game and take kills. But not ignoring the glitch—one that a lot of people experience—is what likely got him banned. That’s why his fans keep arguing that, as long as he didn’t hack the game himself, the punishment was too severe. In fact, it’s still against the rules: “Do not exploit bugs or glitches: If you find a bug or a glitch in the game that provides an unfair advantage, let us know about it instead of using the exploit for your own benefit.” If he was playing by-the-books, Destiny should have simply ignored the glitch. Glitches are common in early-access games and Battlegrounds is still in the process of being optimized.